My husband and I will be celebrating our 10th Valentine’s Day together this year. We have never been ones to go out for a fancy dinner or buy expensive flowers and chocolates. We much prefer to stay home and cook a special dinner together. Since we’ve had children, we really try and make the day special for them. I decorate the house in lots of hearts and red and pink decorations in the weeks leading up to the 14th. The past couple of years, we’ve done a big breakfast spread for them, too. I’ve decorated the dining room table with lots of fun heart confetti, fresh daisies, and cute paper products. I also like to line the table with kraft paper and have everyone write down what they love about each other. As I get things ready this year, I thought I’d share four creative (and easy) ways to celebrate Valentine’s Day. Seriously, how cute is this breakfast? I just love how everything is heart shaped! 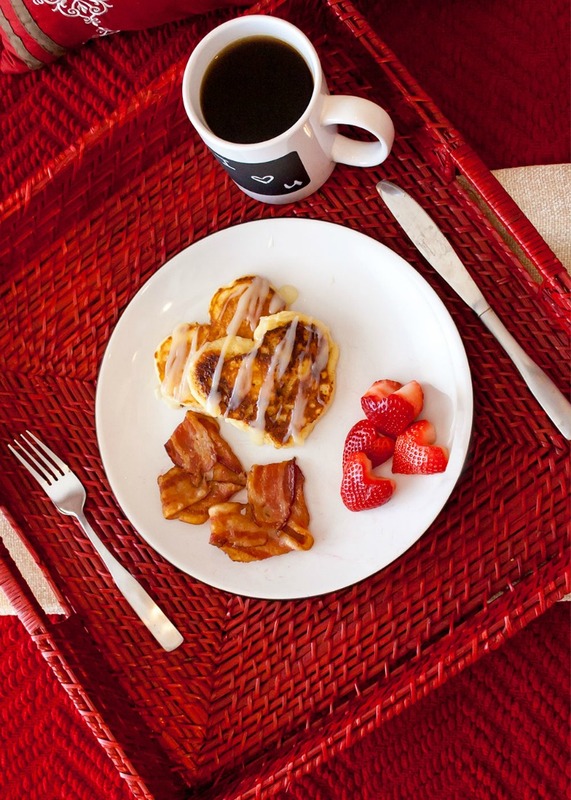 I used the Recipe Girl’s delicious cinnamon roll pancakes recipe and poured them as heart shapes using a pastry bag. Then I used a sharp knife to cut the strawberries into hearts. My favorite idea, hands-down, is the heart shaped bacon! Simply shape the strips into hearts and bake at 400 degrees for 20ish minutes. Your hubby and kids will love these! It is a largely known fact with my friends and family that I love DIY projects and my favorite thing to make is wreaths! Truly, I’m a little wreath-obsessed. 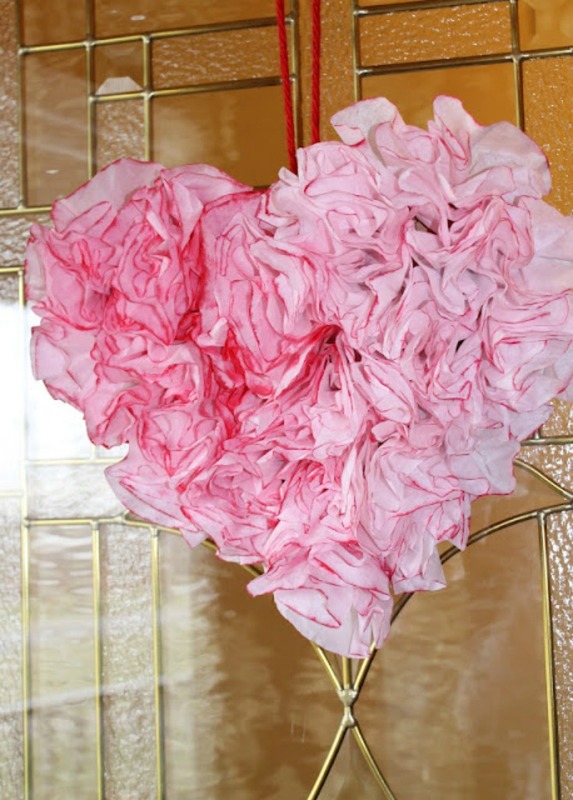 This adorable heart-shaped wreath is made with coffee filters and paint. This is a perfect kid-friendly project for an afternoon at home. Head over to Soccer Mom Style for a step-by-step tutorial. 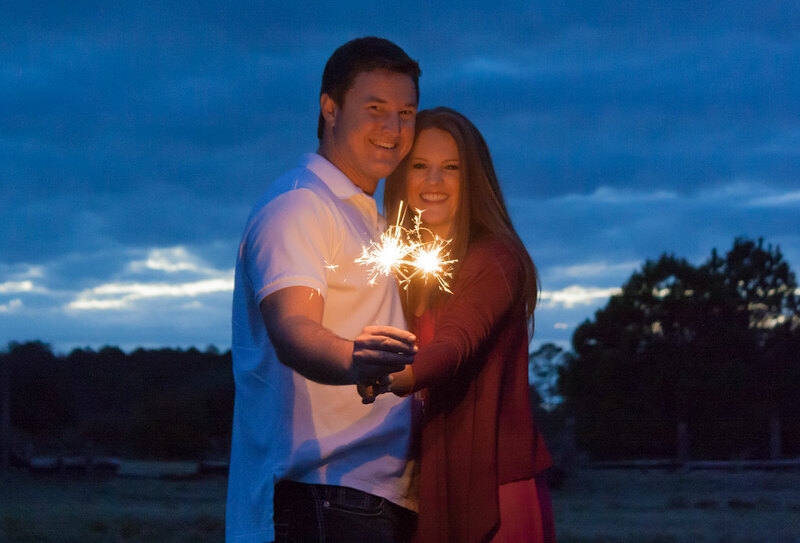 This adorable couple is TJ and Kim and they’re recently engaged! 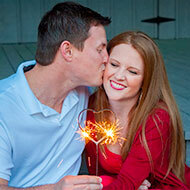 They used our Heart Sparklers to make their Valentine’s photos pretty special. 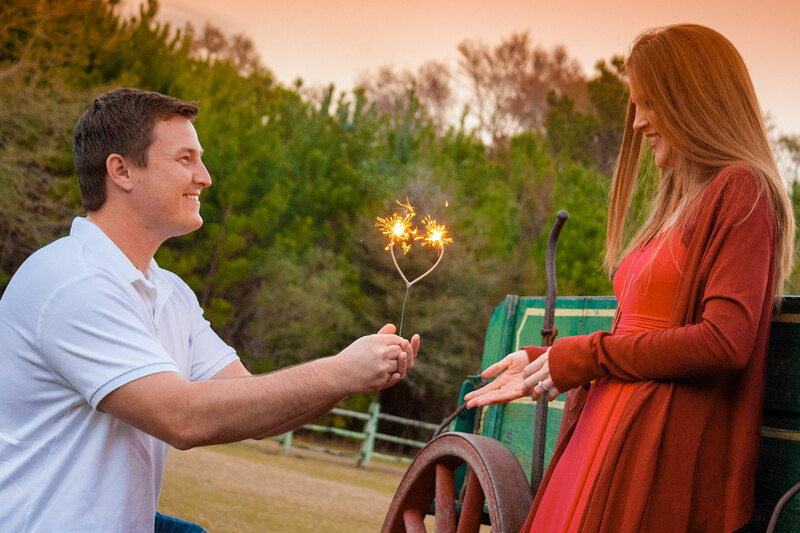 The great thing about these heart sparklers is that once you light them, they burn down both sides of the heart which creates double the sparkles. These would also be perfect to use at a wedding. 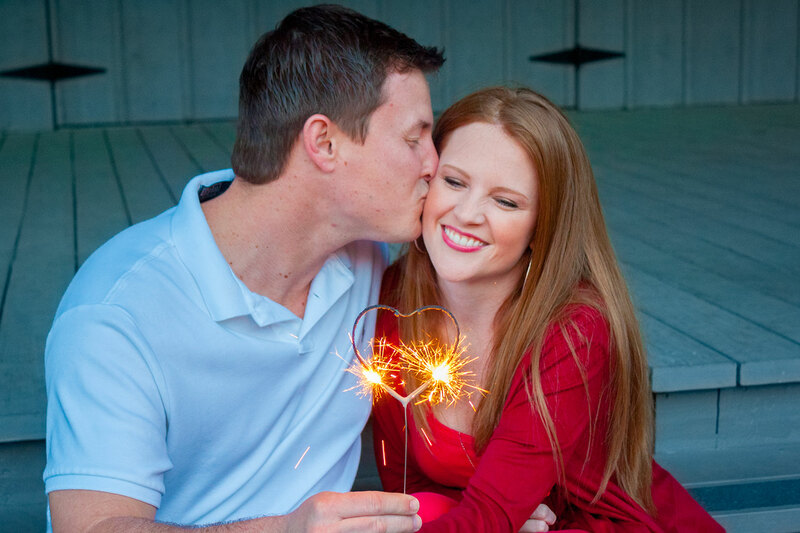 My husband and I had our guests light sparklers as we left the reception, and I wish these heart sparklers had been around for us to use 10 years ago! 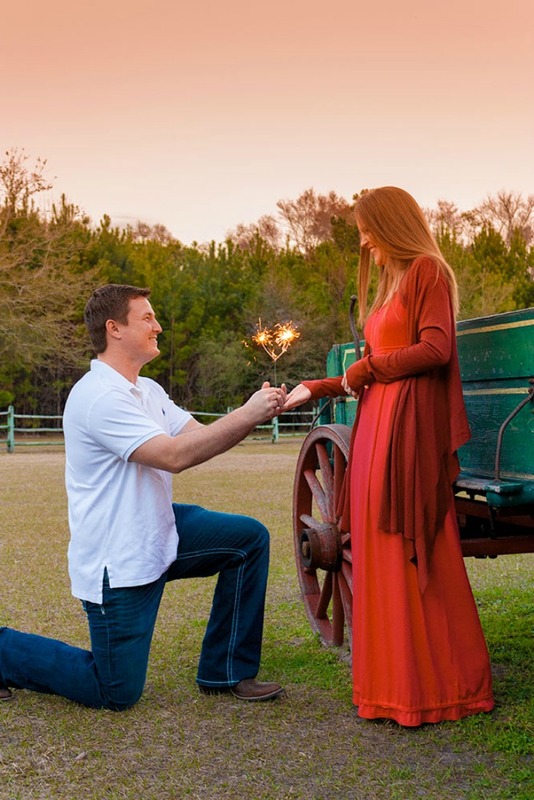 Thank you TJ and Kim for allowing us to share your beautiful pictures. This may be my favorite idea yet! On Valentine’s Eve, I cut out paper hearts and write things I love about my husband and kids and I attach the hearts to their door or on the bathroom mirror so that when they wake up, they can see all the things that I love about them. This idea is even better! 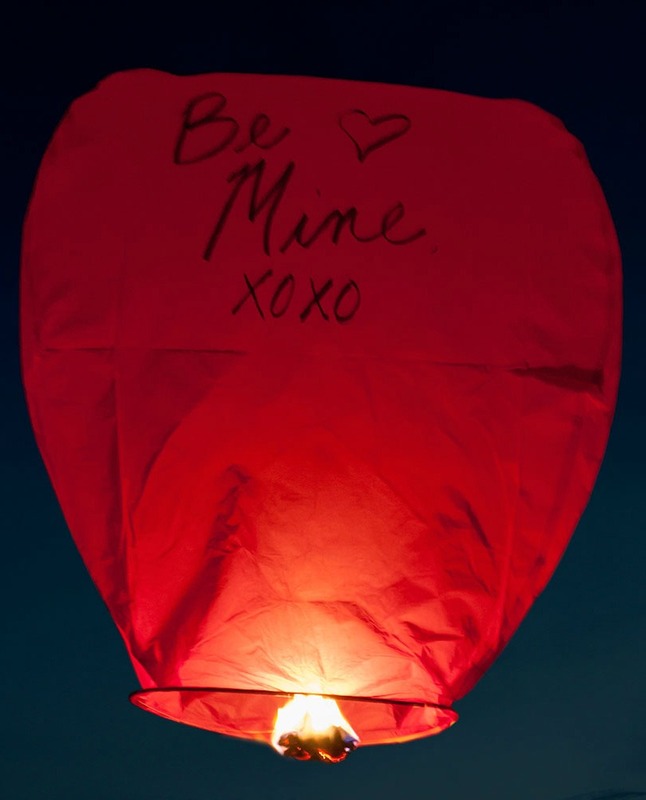 How sweet would it be to take some of our Red Sky Lanterns and spend some time writing love notes to each other, or writing romantic commitments to your significant other. Then take the lanterns outside and send them up into the sky with each other. How romantic and sweet! My daughter’s heart would skip a beat seeing the lanterns in the sky and imagining herself as Rapunzel (a la Tangled). What’s great is these lanterns are 100% biodegradable and come fully assembled, so they’re really easy to use. Which idea is your favorite? 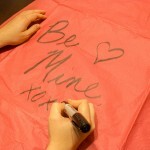 Have you used any of our heart sparklers or red sky lanterns? 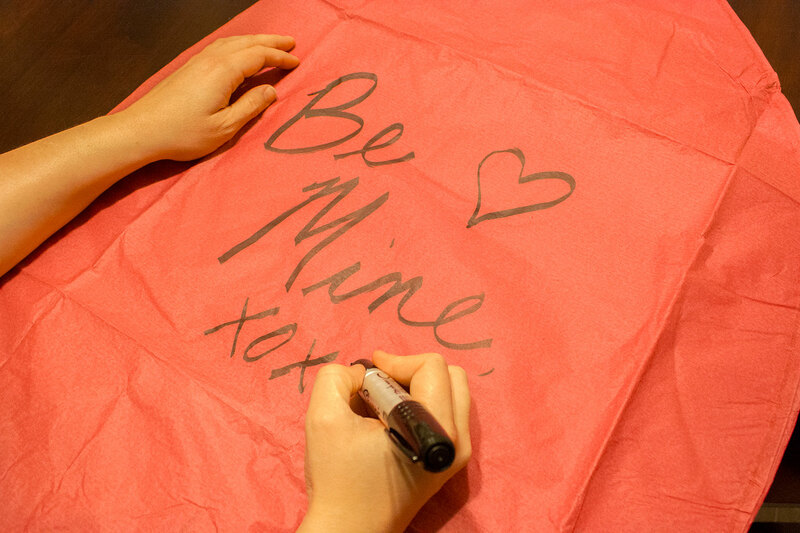 I’d love to hear what creative ideas you have for this Valentine’s Day. Hi! I'm Eva, and I'm super happy to be here with you. I handle the blog and social media here at Superior Celebrations. I am the wife to a really kind and very patient husband and mom to a rambunctious five-year-old son and an energetic two-year-old daughter. Life around my household is exciting to say the least! If you have a cool story, picture, video, or you have a fun or creative way that you have used one of our products, I would love to hear about it! I’m looking for a product I played with in Mexico about twenty years ago. They looked like a piece of foil wrapped around what felt like a kernel of corn or a hard bean. You would throw them on the ground and they would sparkle and crackle as they rolled. My friends and I would have battles with them on the roofs of the bars and is still one of my greatest memories. I’m not sure if they are called Palomitas, Cebollitas, or Seboyas. Do you know what I’m talking about? I hope so. There are only a couple of things domestically that we can think of that would be similar. We carry a product simply called Crackling Balls that emits sparks and crackle when lit. They’re really fun. Another option might be a product that Boomer makes called Mini Laser, although we don’t carry it. 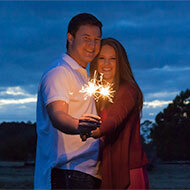 Check out our fireworks website for our full selection of pyrotechnic items. I hope this helps!